I know Christmas is nearly over for another year, tomorrow is twelfth night and then traditionally the decorations are taken down. 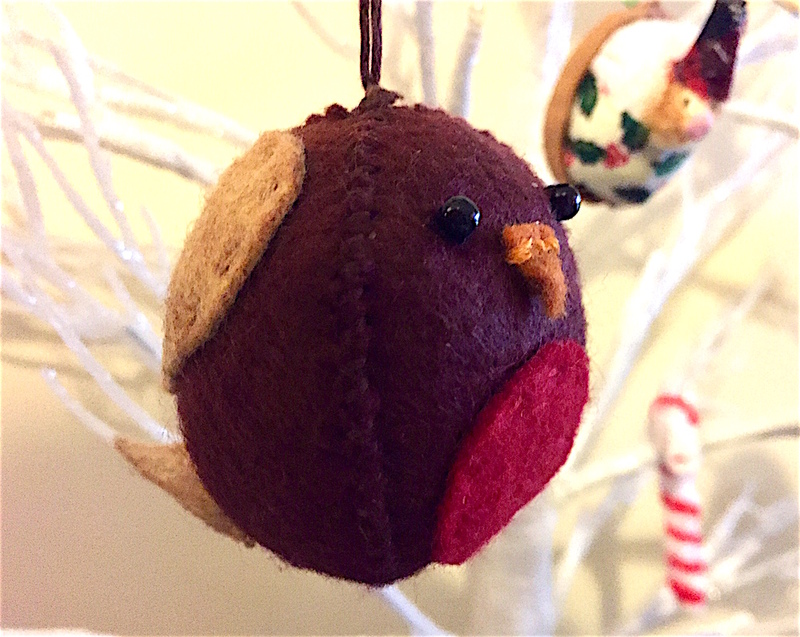 On the subject of decorations I love to make homemade ones and have done so for many years. I also have been given ones made by family and friends and absolutely love their uniqueness. I thought I would take some photos for this blog. Decorations could be made during the year ready for next Christmas, in fact it is best that this is done way ahead of the season before all the busyness begins. 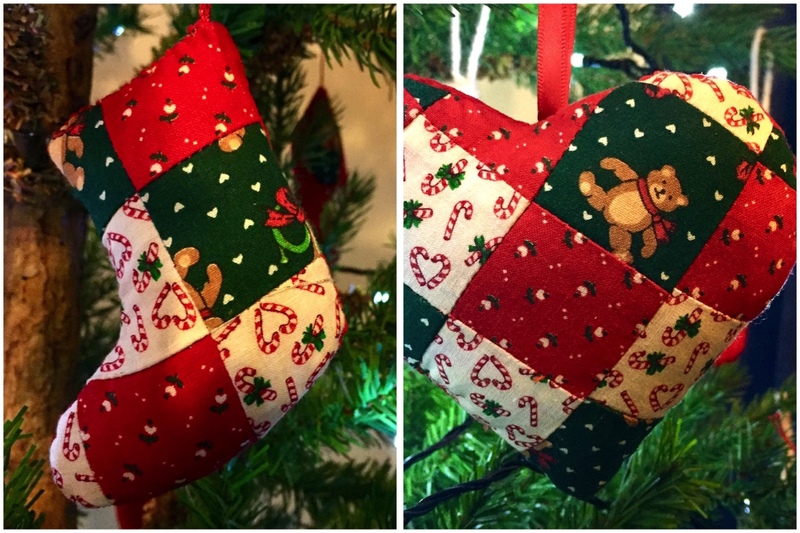 The first photographs show some patchwork decorations I made about twenty years ago. 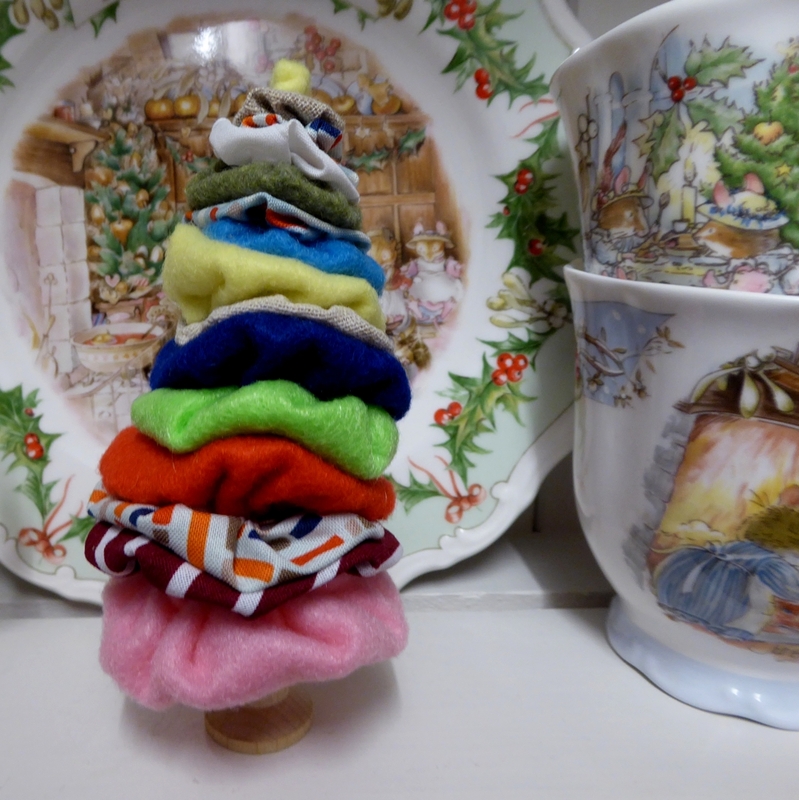 They only need very small amounts of Christmas fabric which can be found in many sales at the moment. I cut the fabrics into strips and machined these together. I then cut the piece into more strips at right angles to the machining and moved the pieces around before machining again so that the finished piece looked like lots of small squares sewn together. A quick and simple way of making patchwork. I then cut the heart and boot shapes from cereal box card and drew around them onto the back of my piece of patchwork. I used some plain red fabric for the back of each piece and sewed these together right side to right side, leaving a gap to be able to turn the piece the right way out before stuffing and sewing closed. If you prefer to knit I made some small knitted boots a few years ago which I always fill with chocolates to help them hang well. I cannot remember where I found the pattern but have recently found this fantastic free pattern on Little cotton rabbits blog. 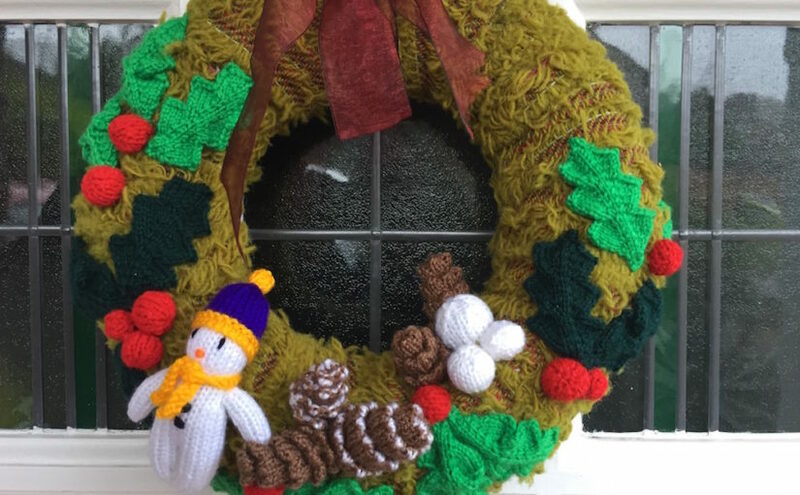 The grandchildren love to take these decorations down and share out the goodies found inside. 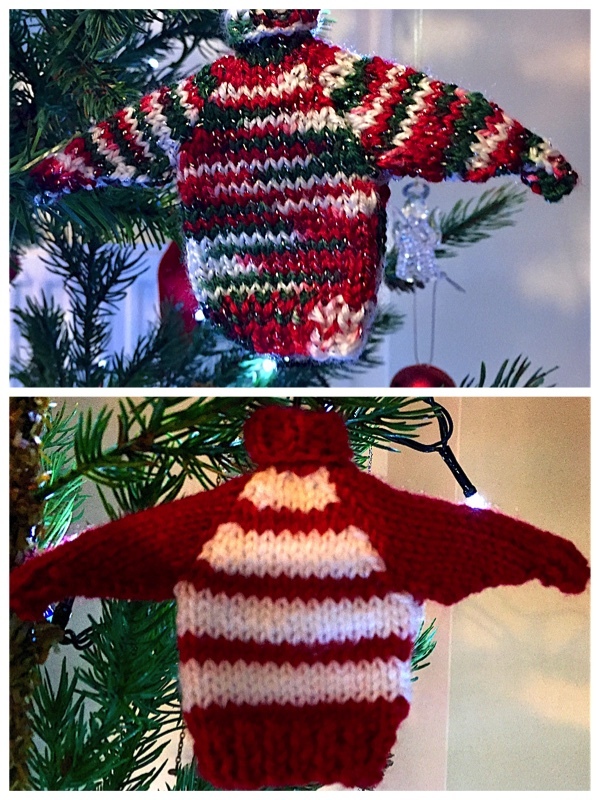 Last year I knitted a number of mini Christmas jumpers. 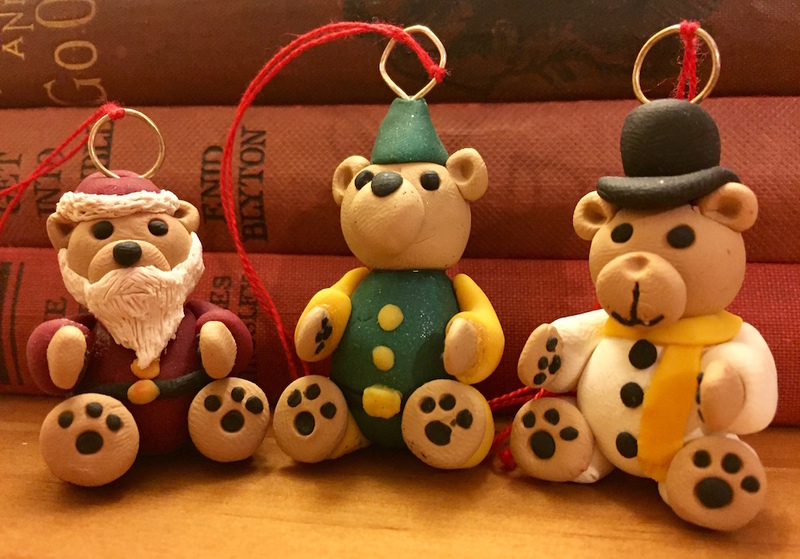 On my tree I have these cute teddybear decorations made from polymer clay which have been baked in the oven. 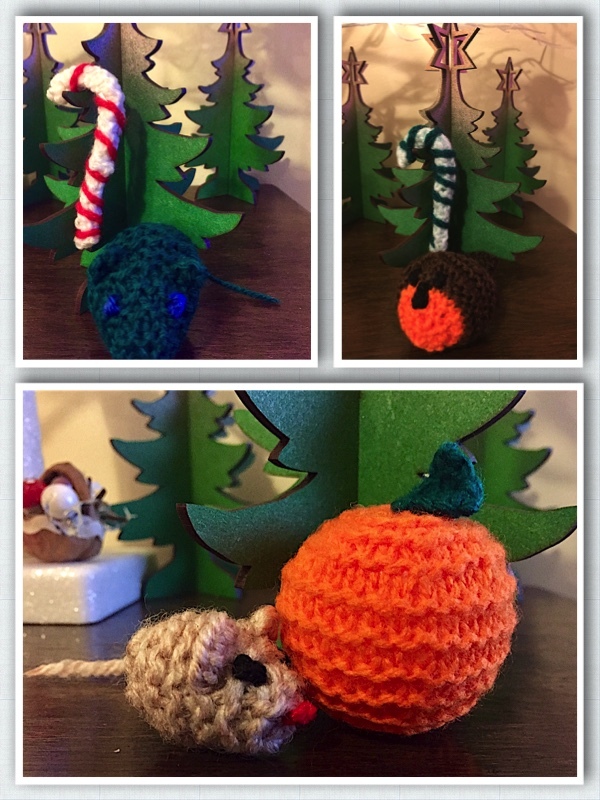 These were made by my son-in-law. 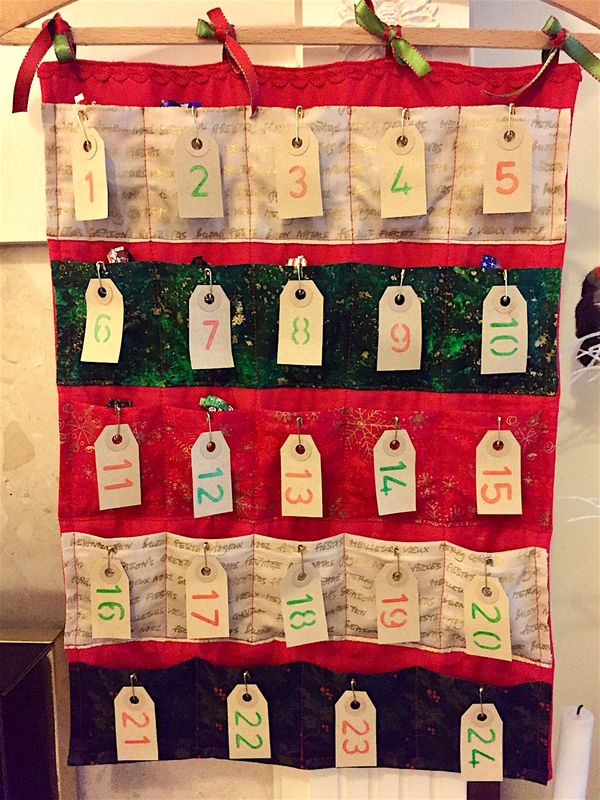 A few years ago I made a fabric Advent calendar which is always filled with chocolates. The instructions for making this can be found on my daughters blog. Angel Eden Blog. 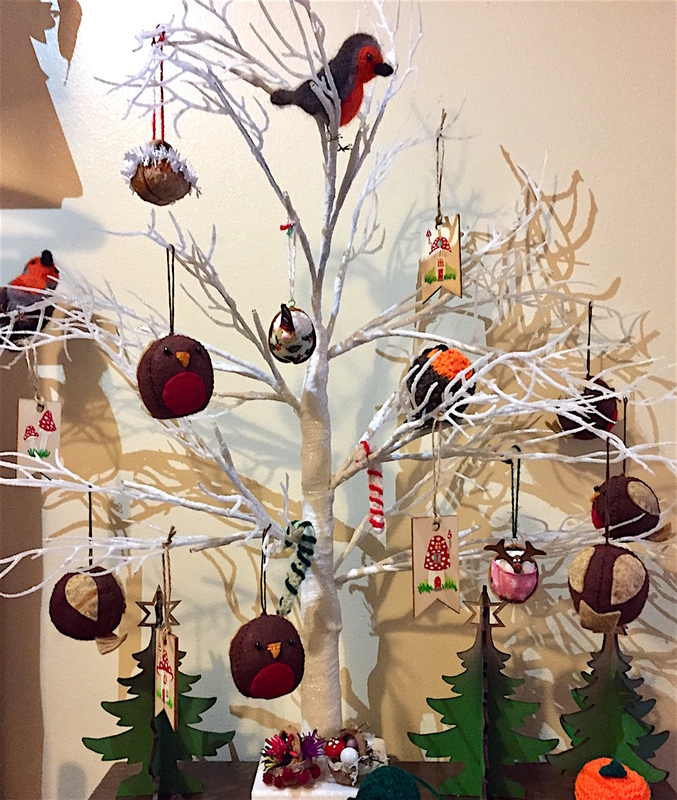 Apart from a traditional Christmas Tree I also have a small white tree on a table and this is hung with many handmade decorations. 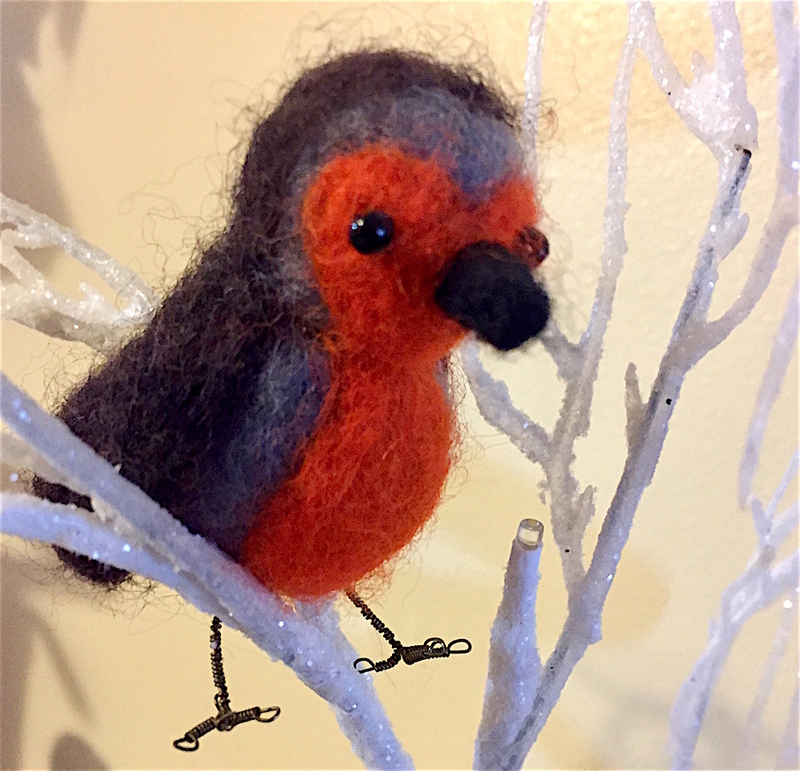 There are round felt robins made by my daughter-in-law and needle felted robins made by my daughter. 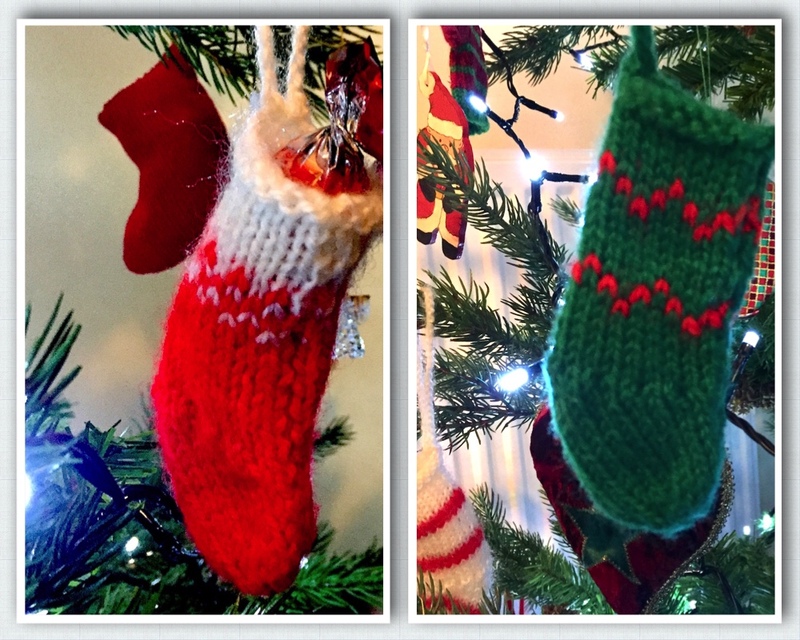 I was also given a lovely collection of knitted pieces made by my three grandchildren and a small Christmas Tree sewn by them from small scraps of fabric. 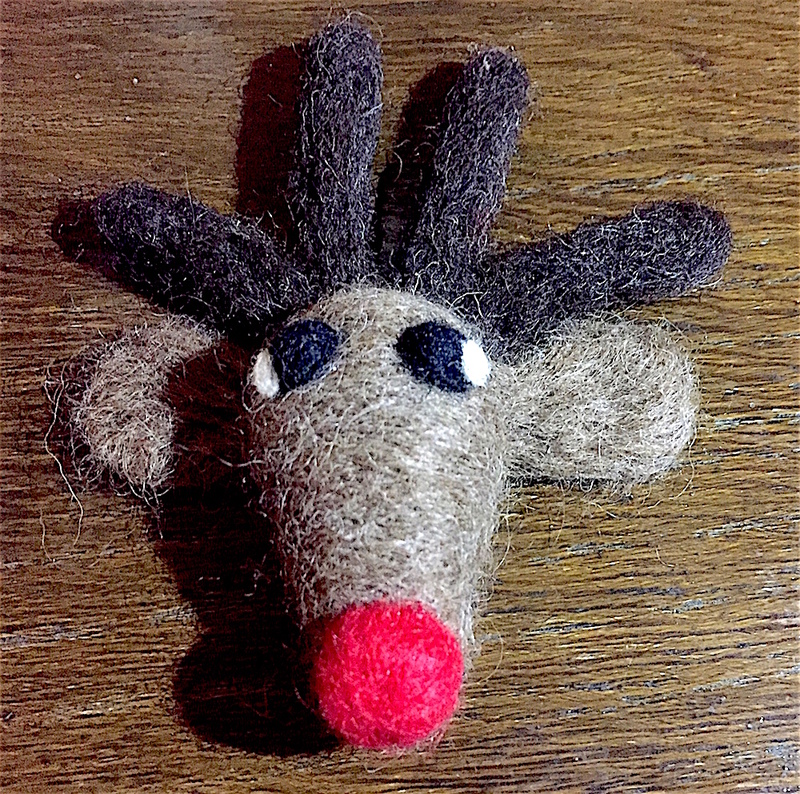 This year I haven’t had a lot of time for making but have experimented a little with needle felting. 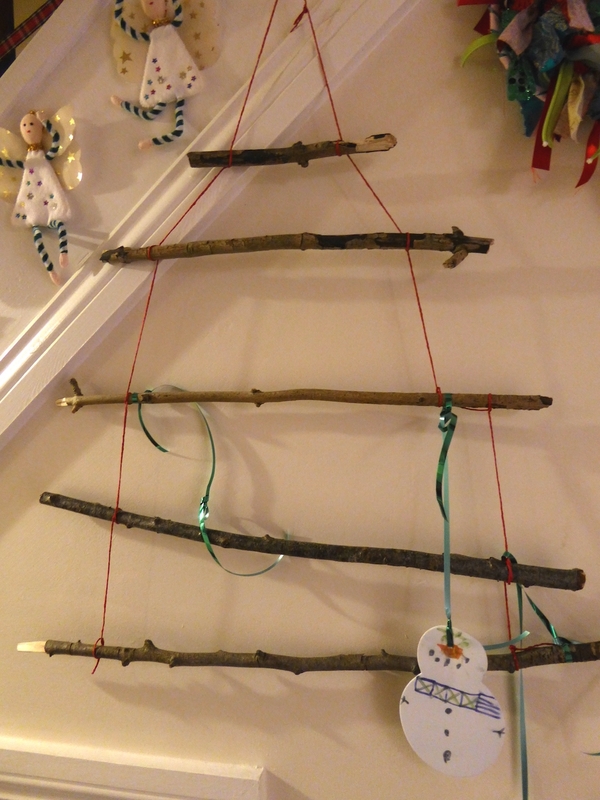 Things do not need to cost much or be complicated, here is a stick tree made by my youngest grandson. 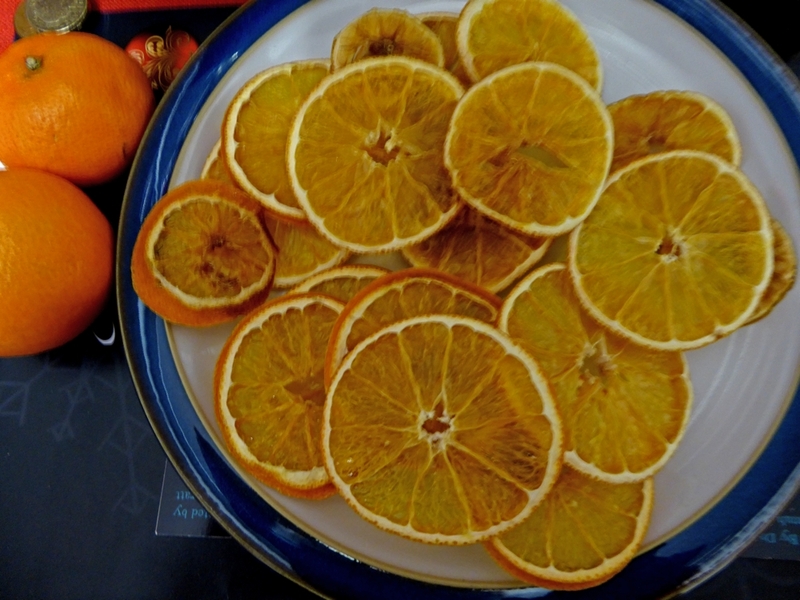 And lastly for this year I dried some slices of orange in the oven and when I have a moment will experiment with making them into decorations.